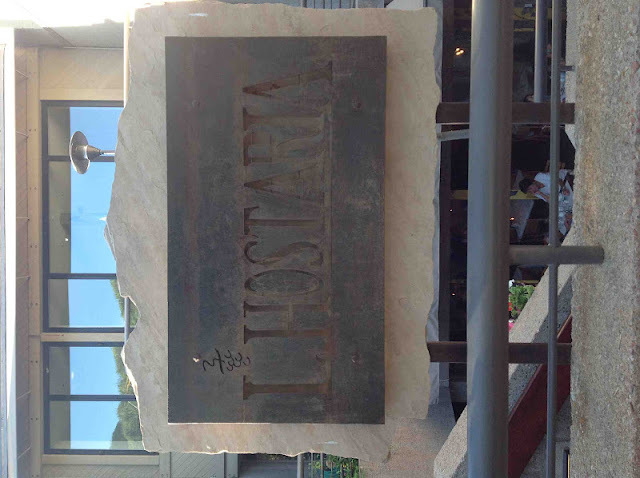 After hearing from both the concierge and driver at the Grand Hyatt that Aspen’s L’Hostaria was their favorite restaurant in town, we had to try it. What did we think? It was amazing and probably our favorite dining spot in Aspen! 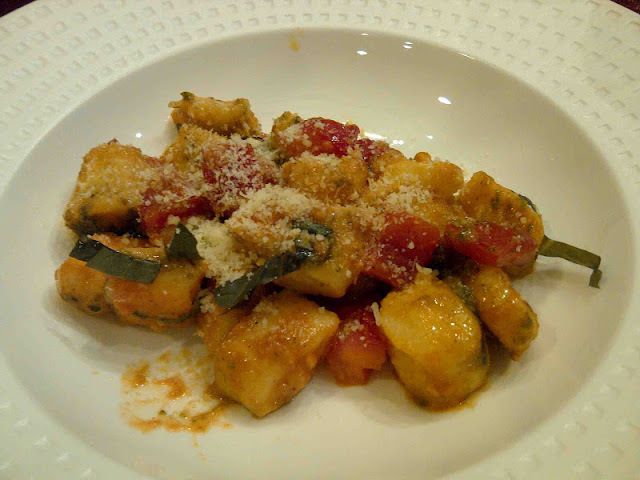 L’Hostaria is where authentic Italian cuisine meets fresh, healthy, and homemade ingredients. We were absolutely impressed with the service and how fresh, light and gourmet the food was. L’Hostaria is the only restaurant in Aspen that makes their own pasta daily by hand, and you can definitely taste a difference! 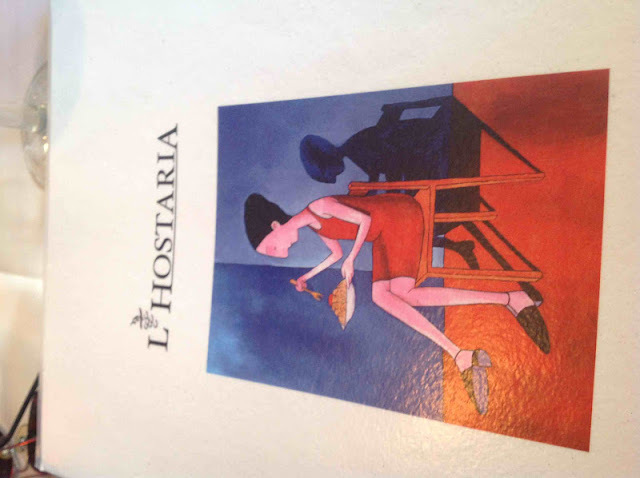 The atmosphere of L’Hostaria was elegant, yet cozy. Designer Italian chairs, terracotta vases, Tuscan antiques, soft lighting and stucco walls created an ambiance you will find only in Italy. The restaurant is underground, so you can choose to eat inside the cool, comfortable restaurant, or sit outside on the underground the porch with the retractible roof letting natural sunlight peak in. Dining inside L’Hostaria – designer Italian chairs, terracotta vases, Tuscan antiques, soft lighting and stucco walls create an atmosphere you will find only in Italy. Everything on the menu looked good, so we had a hard time deciding what to order. In the end, Matt and I choose to split the Papparadelle alla Bolognese. 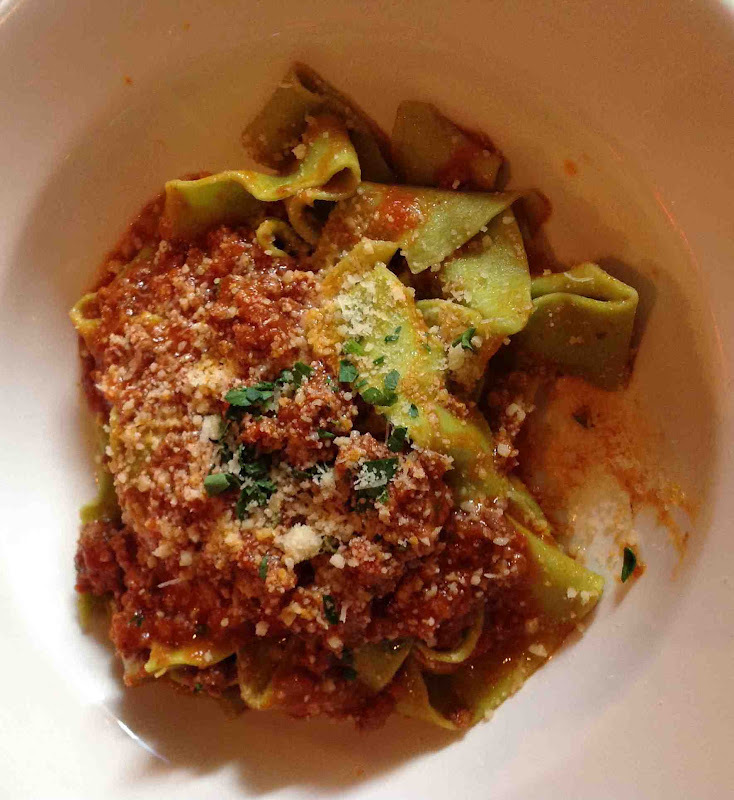 The papparadelle (extra-wide pasta noodles) was spinach flavored and accompanied with a light yet filling Italian meat sauce. I say “light” because unlike a lot of meat sauces, this was NOT greasy. For garnish, freshly grated Parmesan cheese and shredded basil was added. 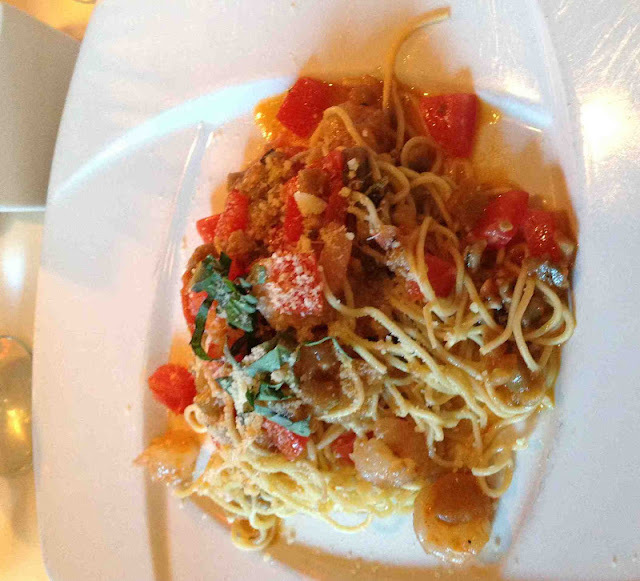 My mom ordered the Spaghettini with rock shrimp, chopped eggplant, diced tomatoes and garnished with fresh basil and Parmesan cheese in a light tomato sauce. It was excellent…. extremely light, yet packed full of flavor. Since our main courses were so delicious, we thought we’d finish it all off by splitting a piece of Tiramisu four ways. 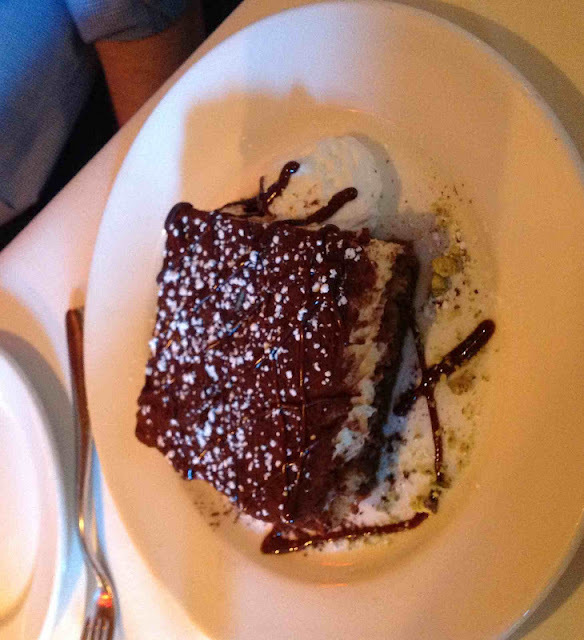 The tiramisu consisted of marscarpone and cream layered between ladyfingers soaked in coffee, and topped with cocoa sprinkled with confectioners’ sugar and drizzled with chocolate sauce. It was good. If you like dark chocolate, you’ll love this! It was extremely rich and dark. I’m more of a milk chocolate fan, so you know where my preferences land. ***We were all so impressed with L’Hostaria that my mom and I came back the next evening and ordered the potato gnocchi for take-out. We all ate our “own” dinners at the hotel that evening: Matt and my dad split a pizza while my sister had grilled chicken. The gnocchi my mom and I split was outstanding! It was so fresh, and almost seemed to melt in our mouths. Again, the sauce was very light. The gnocchi was accompanied by freshly diced tomatoes, basil and Parmesan cheese. Yum! What did I like best? I can’t choose…. it depends on what mood I’m in. All-in-all, all pasta dishes were homemade, fresh, and light. You’ll get full, but won’t have that miserable “stuffed” feeling like many restaurants give off from their greasy, processed food. 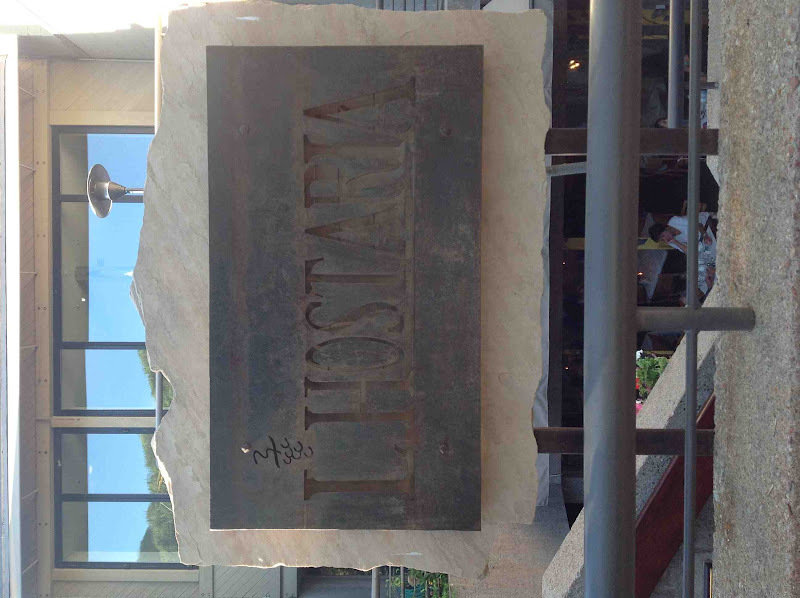 Next time you’re in Aspen, you must visit L’Hostaria. We will be back for sure! 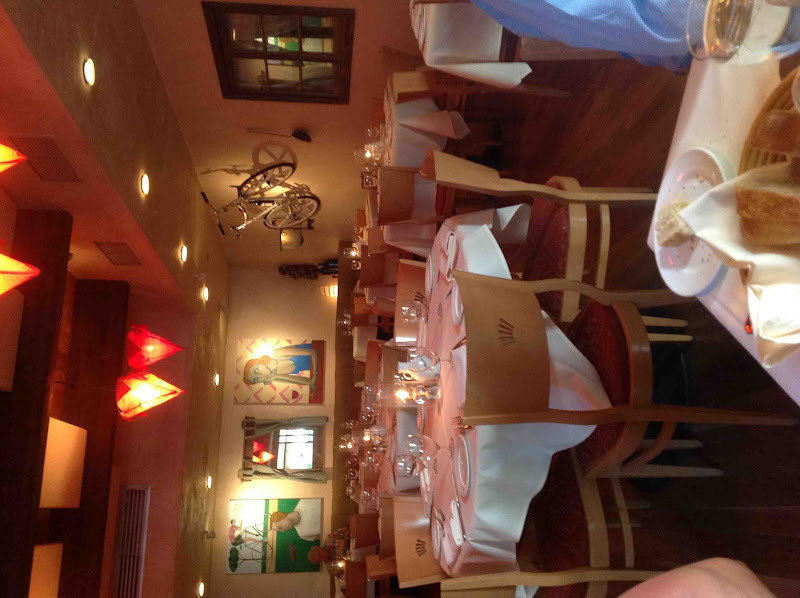 One Response to "Dinner at L’Hostaria – Aspen, Colorado"
The weather of L’Hostaria was elegant, yet comfortable. Designer German chairs, clay decorative accents, Tuscan items, soft lighting and stucco surfaces created an environment you will find only in Tuscany.